1. This Circular guides the elaboration, evaluation, approval and management of plannings on construction of industrial parks. The elaboration, evaluation and approval of general plannings on construction of economic zones and detailed plannings on construction of functional sub-zones in economic zones, and the management of plannings on construction of economic zones comply with the Construction Ministrys Circular No. 07/2008/TT-BXD of April 7, 2008, guiding the formulation, evaluation, approval and management of construction plannings. 2. Industrial-park construction plannings must be in line with the national master plan on development of industrial parks, regional construction plannings and general urban construction plannings approved by competent state agencies. 3. Criteria used in the elaboration of an industrial-park construction planning must comply with regulations on construction planning. The application of foreign construction standards must be approved by the Ministry of Construction. 4. A detailed planning on construction of an industrial park shall be elaborated in one step, on a 1:2,000- or 1:500-scale map, without requiring to prepare a planning task. Elaboration of a detailed planning: For an industrial park larger than 200 ha, a detailed construction planning shall be made on a 1:2,000-scale topographic map. For an industrial park not exceeding 200 ha, a detailed construction planning shall be made on a 1:500-scale map. 5. Provincial-level Construction Services or Planning-Architecture Services (for Hanoi and Ho Chi Minh cities) shall establish requirements on architecture-planning details and criteria as a basis for elaborating detailed plannings on construction of industrial parks. 6. For industrial parks associated with urban areas or other consolidated business areas, general urban construction plannings must be elaborated under the Construction Ministrys Circular No. 07/2008TT-BXD of April 7, 2008, guiding the elaboration, evaluation, approval and management of construction plannings. 7. The format of a construction plan dossier must comply with the Construction Ministers Decision No. 21/2005/QD-BXD of July 22, 2005. 8. Industrial-park construction plannings must be elaborated by capable consultancy organizations under regulations. 9. When elaborating a detailed planning on construction of an industrial park, the consultancy organization shall gather functional agencies written opinions on outbound transport; security and defense; sources of energy supply; water supply; wastewater; environment; fire and explosion prevention and fighting; and conservation and embellishment of relics or beauty spots before the planning project is evaluated. 10. An industrial-park construction planning dossier comprises explanations and drawings, enclosed with the approval decision affixed with a stamp of the planning project-evaluating agency. 1.1. Provincial-level Peoples Committees shall direct provincial-level Construction Services or Planning-Architecture Services (for Hanoi and Ho Chi Minh cities) to elaborate general plannings on construction of industrial parks associated with urban areas or other business areas. 1.2. Provincial-level Peoples Committees shall direct provincial-level Construction Services or Planning-Architecture Services (for Hanoi and Ho Chi Minh cities) or industrial-park management boards in localities where industrial parks are located, to coordinate with investors in selecting consultants to formulate general plannings on construction of industrial parks in which many investors participate in building and commercially operating their infrastructure. 2.1. For an industrial park for which an infrastructure construction and commercial operation investor has not yet been identified, the provincial-level Peoples Committee shall direct the provincial-level Construction Service or Planning-Architecture Service (for Hanoi and Ho Chi Minh cities) or the industrial-park Management Board in the locality where the industrial park is located, to elaborate a detailed planning on construction of the industrial park as a basis for investment attraction. 2.2. For an industrial park with a single infrastructure construction and commercial operation investor, that investor shall formulate a detailed planning on construction of the industrial park. 2.3. For an industrial park with many infrastructure construction and commercial operation investors, the provincial-level Peoples Committee shall direct the provincial-level Construction Service or Planning-Architecture Service (for Hanoi and Ho Chi Minh cities) or the industrial-park Management Board in the locality where the industrial park is located to assume the prime responsibility for, and coordinate with investors in, selecting a consultancy unit to elaborate a detailed planning on construction of the industrial park. A general industrial-park construction planning shall be elaborated on a topographic map at scale 1:5,000-1:10,000 depending on the industrial parks size, which must clearly indicate functional sub-zones for the construction of industrial works; a public service center; greenery areas; the industrial parks technical services; technical infrastructure works (transport, energy supply, lighting, water supply and drainage, waste treatment, communication); regulations on maintenance and embellishment of natural landscapes, safety assurance and fire and explosion prevention and fighting, and environmental protection; social infrastructure works for the industrial park; connection to outside-fence technical works; and implementation plans and resources to ensure development in different periods. 3.2. A detailed industrial-park construction planning must specify land use functions and criteria (construction height, construction density, land use coefficient) for land areas reserved for the construction of industrial works; a public service center; greenery areas; the industrial parks technical services; and technical infrastructure works (transport, energy supply, lighting, water supply and drainage, waste treatment, communication); regulations on maintenance and embellishment of natural landscape, safety assurance and fire and explosion prevention and fighting, and environmental protection. f/ Planning plans of the industrial parks technical infrastructure system, at scale 1:5,000-1:10,000, including major transport systems inside and outside the industrial park; ground leveling; rainwater drainage; energy and water supply; wastewater drainage; waste collection and treatment; communication, etc. g/ A map of placement of roads redlines and construction landmarks, at scale 1:500-1:2,000.
d/ A CD disc storing all explanations and construction planning drawings. 4.4. General explanations, drawings of a prescribed scale and CD discs storing all explanations and drawings shall be archived at provincial-level construction planning-managing agencies, industrial-park management boards, and concerned district-and commune level Peoples Committees; or the Construction Architecture-Planning Department under the Ministry of Construction, for industrial-park construction plans on which the Ministry of Construction gives written opinions. 5.1. 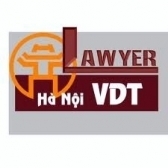 Provincial-level Construction Services or Planning-Architecture Services (for Hanoi and Ho Chi Minh cities) shall consult concerned agencies on, evaluate and submit general construction plans and detailed plannings on construction of industrial parks to provincial-level Peoples Committees for approval. 5.2. Before approving detailed industrial-park construction plannings specified in Clause 4, Article 5 of Decree No. 29/2008/ND-CP, provincial-level Peoples Committees shall consult the Ministry of Construction, other ministries and branches. a/ Setting up an Evaluation Council and deciding on its composition and number of members who come from concerned state management agencies and the local administration. b/ Having the planning project evaluated by a provincial-level professional agency. c/ Dossier format and composition and details of the construction planning project as guided in this Circular and the Construction Ministers Decision No. 21/2005/QD-BXD of July 22, 2005.
a/ District-level Peoples Committees in planned areas shall publicize general plannings on construction of industrial parks. - Planning maps of technical infrastructure and environmental protection systems. a/ District-level Peoples Committees in planned areas shall publicize detailed planning projects on construction of industrial parks related to administrative boundaries under their management. c/ Printing the planning project for public distribution. 2.1. The supply of information on construction plannings complies with Article 33 of the Construction Law and Article 41 of Decree No. 08/2005/ND-CP. a/ Construction planning certificate is a document certifying information and data of an approved construction planning, which is granted to organizations or individuals upon request. b/ A construction planning certificate contains information on land use planning, area and landmark coordinates of the land lot, red line and construction landmarks, construction density, land use coefficient, maximum and minimum heights; information on architecture, technical infrastructure and environmental protection systems, and other regulations. The certificates validity term must be equal to that of the approved detailed planning. 3.1. For an industrial park with an approved detailed construction planning at scale 1:2,000, a basic design of its technical infrastructure may be made on the basis of such construction planning in accordance with Clause 5, Part III of this Circular. 3.2. For an industrial park with an approved detailed construction planning at scale 1:500, its basic design shall be made on the basis of the details of such construction planning, and added with the details specified in Items b, c and d, Point 5.1 and Items b and c, Point 5.2, Clause 5, Part III of this Circular. 4. A basic design of an industrial parks technical infrastructure shall be made at the stage of formulating an investment project on construction of the industrial parks technical infrastructure on the basis of the approved detailed construction planning, which must indicate major technical parameters complying with applied regulations and standards as a basis for implementing subsequent designing steps. 5. A basic design of the industrial parks technical infrastructure comprises a part on explanations and a part on drawings. d/ A list of applied regulations and standards. c/ A drawing of the wastewater treatment station and a wastewater-treatment technology plan. 6. Basic designs of works in an industrial park comply with current regulations on investment and construction. d/ Construction capability conditions of the consultancy organization or practicing capability of the individual that has formulated the basic design under regulations. b/ Provincial-level management boards of industrial parks or Construction Services (for localities without provincial-level management boards of industrial parks) shall evaluate basic designs of construction works of group-B or group-C projects in industrial parks under current laws on investment and construction. 7.3. The evaluation of basic designs of economic zones technical infrastructure and construction works complies with current laws on investment and construction. 8.1. Provincial-level management boards of industrial parks shall, based on approved detailed plannings on construction of industrial parks, grant planning certificates for investment projects in industrial parks. 8.2. Concerned state management agencies; provincial-level management boards of industrial parks; infrastructure construction and commercial operation investors in industrial parks: industrial parks enterprises and service enterprises; construction consultancy organizations and concerned organizations and individuals shall observe approved general and detailed plannings on construction of industrial parks. h/ Regulations on protection of relics and beauty spots. e/ Location of service works. 1. Based on the state management powers and responsibilities defined in the Governments Decree No. 29/2008/ND-CP of March 14, 2008, on industrial parks, export-processing zones and economic zones, provincial-level Peoples Committees and concerned ministries and branches shall direct the formulation, approval and management of construction plannings guided in this Circular. 2. Provincial-level Construction Services or Planning-Architecture Services and industrial-park management boards shall annually inspect the implementation of approved plannings on construction of industrial parks in their localities. 3. The Construction Architecture-Planning Department shall assist the Minister of Construction in regularly inspecting the implementation of plannings on construction of industrial parks nationwide. 4. This Circular takes effect 15 days after its publication in CONG BAO. For industrial parks not exceeding 200 ha with 1:2,000-scale detailed construction plannings approved before the effective date of this Circular, subsequent steps may be taken without having to formulate 1:500-scale detailed construction plannings.